Cars 20 years and older typically fall into the classic class. Organizations such as the Classic Car Club of America (CCCA) and the Antique Automobile Club of America (AACA) maintain a list of eligible unmodified cars that are called "classic". These are described as "fine" or "distinctive" automobile, either American or foreign built, produced between 1915 and 1998. Post–World War II "classic cars" are not precisely defined and the term is often applied to any older vehicle. The "classic" term is often applied loosely by owners to any car. Legally, most states have time-based rules for the definition of "historic" or "classic" for purposes such as antique vehicle registration. For example, Maryland defines historic vehicles as 20 calendar years old or older and they "must not have been substantially altered, remodeled or remanufactured from the manufacturers original design" while West Virginia defines motor vehicles manufactured at least 25 years prior to the current year as eligible for "classic" car license plates. Despite this, at many American classic car shows, automobiles typically range from the 1920s to the 1970s. Recently, many 1980s and even early 1990s cars are considered being "classic automobiles". Examples of cars at such shows include the Chevrolet Bel-Air, Ford Model T, Dodge Charger, Ford Deuce Coupe, and 1949 Ford. Meanwhile, the Concours d'Elegance car shows feature prestigious automobiles such as the Cadillac V16 or pre-1940 Rolls-Royce models. There are also terms as "modern customs", "exotics", or "collectibles" that cover cars such as the AMC Gremlin or Ford Pinto. There are differences in the exact identification of a "classic car". 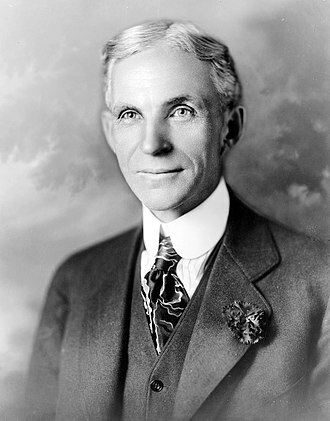 Division by separate eras include: horseless carriages (19th-century experimental automobiles such as the Daimler Motor Carriage), antique cars (brass era cars such as the Ford Model T), and classic cars (typically 1930s cars such as the Cord 812). Some also include muscle cars, with the 1974 model year as the cutoff. The CCCA is dedicated to the preservation and enjoyment of select cars that "are distinguished by their respective fine design, high engineering standards and superior workmanship." Other differentiating factors - including engine displacement, custom coachwork, and luxury accessories such as power brakes, power clutch, and "one-shot" or automatic lubrication systems - help determine whether a car is considered a CCCA Classic. The cars on their list "represent the pinnacle of engineering, styling and design for their era." Any CCCA member may petition for a vehicle to join the list. Such applications are carefully scrutinized, but rarely is a new vehicle type admitted. Moreover, no commercial vehicles such as hearses, ambulances, or race cars are accepted as a Full Classic. The CCCA maintains this definition of "classic car" and uses terms such as CCCA Classic or the trademarked Full Classic. The CCCA has estimated that 1,366,843 "American Classics" were built. The Antique Automobile Club of America (AACA) recognizes "motorized vehicles 25 years old or older, which were built in factories and specifically designed and manufactured for transportation use on public roadways and highways." 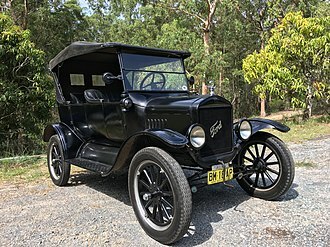 Judging by the AACA evaluates such vehicles to be in historic or that have "been restored to the same state as the dealer could have prepared the vehicle for delivery to the customer." Specified AACA classic vehicles include "fine or unusual domestic or foreign automobiles primarily built between and including the years 1925 and 1942." There is no fixed definition of a classic car. Two taxation issues do impact however, leading to some people using them as cutoff dates. All cars built over 40 years ago are exempted from paying the annual road tax vehicle excise duty. HM Revenue and Customs define a classic car for company taxation purposes as being over 15 years old and having a value in excess of £15,000. Additionally, popular acclaim through classic car magazines can play an important role in whether a car comes to be regarded as a classic but the definition remains subjective and a matter of opinion. The elimination of depreciation can be a reason for buying a classic car and picking 'future classics' that are current 'bangers' can result in a profit for the buyer as well as providing transport. An immaculate well cared for prestige model with high running costs that impacts its value, but is not yet old enough to be regarded as a classic, could be a good buy, for example. There was a worldwide change in styling trends in the immediate years after the end of World War II. 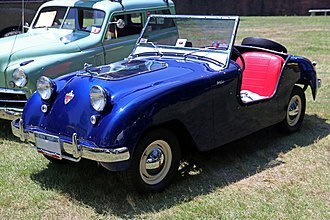 The 1946 Crosley and Kaiser-Frazer, for example, changed the traditional discrete replaceable-fender treatment. From this point on, automobiles of all kinds became envelope bodies in basic plan. The CCCA term, "antique car" has been confined to "the functionally traditional designs of the earlier period" (mostly pre-war). They tended to have removable fenders, trunk, headlights, and a usual vertical grill treatment. 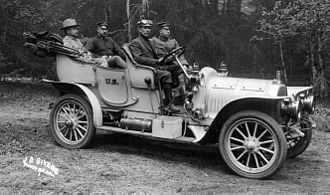 In a large vehicle, such as a Duesenberg, Pierce-Arrow, or in a smaller form, the MG TC, with traditional lines, might typify the CCCA term. Another vehicle might be a classic example of a later period but not a car from the "classic period of design", in the opinion of the CCCA. These vehicles are generally older, ranging from 15 to 25 years, but are usually not accepted as classics according to the Antique Automobile Club of America. The German term youngtimer describes older vehicles which have not yet become "old timer" classic cars. In the United Kingdom, the modern classic definition is open to the discretion often by Insurance Brokers and Insurance Companies who regard a Modern Classic as a vehicle that is considered collectible regardless of age. The usage of the vehicle limited to recreational purposes or restricted mileage is also taken into account. Drivers of classic cars must be especially careful. Classic cars often lack what is now considered basic safety features, including seat belts, crumple zones or rollover protection. In September 2009, ABC News' Good Morning America and World News showed a U.S. Insurance Institute of Highway Safety crash test of a 2009 Chevrolet Malibu in an offset head-on collision with a 1959 Chevrolet Bel Air sedan. It dramatically demonstrated the effectiveness of modern car safety design, over 1950s X-frame design, particularly of rigid passenger safety cells and crumple zones. The 1959 Chevrolets used an X frame design which lacked structural rigidity; had the IIHS used a pre-1958 Chevrolet with a perimeter frame design, the results would have been much better. Vehicle handling characteristics (particularly steering and suspension) and brake performance are likely to be poorer than current standards, hence requiring greater road-awareness on the part of the driver. In certain areas of the United States, using a classic car as a daily vehicle is strongly discouraged and may even be considered illegal in some places. The British AA motoring association has urged motorists using or driving near classic cars to pay particular attention to safety. The issue received particular public attention following a 2013 case in which a driver in a hire 1963 MGB was killed immediately in a collision with a taxi. Retro-styled (color-coded with chromed buckles) 2-point and 3-point seat (safety) belts are manufactured according to Federal Motor Vehicle Safety Standards (FMVSS). However, most classic car bodies (manufactured before the late 1960s) did not include safety belts as standard equipment, and do not include readily available reinforced mounting points, on the vehicle body, therefore it can be problematic to install such equipment properly: specific studies and calculations should be performed before any attempts. 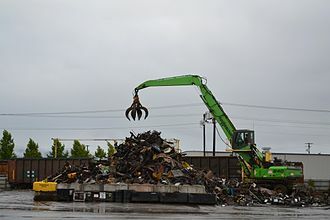 Proper installation is critical, which means locating attachment points on the body/frame, assuring the strength by proper reinforcement, and following the seat belt installation instructions properly to reduce the risk of malfunction or failure. Some classic car owners are reluctant to retrofit seat belts for the loss of originality this modification implies. There have also been instances of cars losing points at shows for being retrofitted with seat belts. Fitting modern tires is also a suggestion to improve the handling. However, most modern tires may be much wider and have a lower profile than those used on classic cars when new, therefore they may interfere with suspension elements and the tire walls may become damaged. The suspension of a classic car may not be suitable for radial ply tyres, having been designed to only accommodate bias ply tires. Narrow classic car wheels may have been designed for narrow high-profile tube tires and not be suitable for modern tubeless radial tires. Another problem with modern tires on classic cars is that increased grip requires increased steering effort; many classic cars do not come with power steering. Many major tire companies have dedicated classic car tire marketing departments and will be able to give expert technical advice to address all these issues. It is important to know how radial tires will affect the performance of a car originally fitted with bias-ply tires, and the considerations needed to compensate for the differences. Upgrading braking using either bespoke parts, parts produced by the vehicle's manufacturer, from later versions of the same model or later models that may be compatible with minor modification, is an effective method of improving safety. Popular examples include drum brake to disc brake conversions, or adding a vacuum servo to cars with front disc brakes that did not originally have one. Although they lack such advanced safety features as air bags, antilock braking systems, and other electronic controls, most US-market cars built 1966 and later have basic safety features such as padded dashboards, seat belts, dual-circuit braking systems, and safety glass. ^ "The Horseless Carriage Club". The Horseless Carriage Club of America. Retrieved 18 November 2015. ^ "Glossary – A guide to speaking the language of CCCA". Classic Car Club of America. 2 October 2012. Retrieved 18 November 2015. ^ "How do I register a vehicle as an historic vehicle?". Maryland Motor Vehicle Administration. Retrieved 18 November 2015. ^ "Division of Motor Vehicles Application for Classic Car License Plate" (PDF). 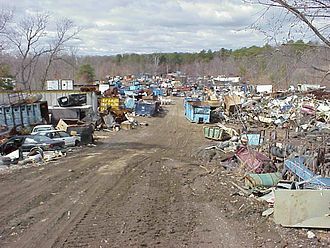 West Virginia Department of Transportation. August 2013. Retrieved 18 November 2015. ^ Auto Editors of Consumer Guide (24 July 2007). "1930-1934 Nash Twin-Ignition Eight". HowStuffWorks.com. Retrieved 30 November 2015. ^ Jensen, Todd A. (2006). Automotive Websites (Second ed.). McFarland. pp. 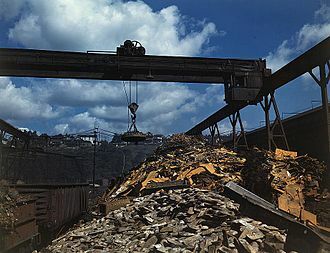 63–64. ISBN 9781476608907. Retrieved 30 November 2015. ^ "What is a Classic Car?". Classic Car Club of America. Retrieved 18 November 2015. ^ "A Comprehensive Look at Classic Cars". Van Burden Insurance. 2 June 2011. Archived from the original on 8 December 2015. Retrieved 30 November 2015. ^ a b "Instructions for Applications Considered". The Classic Car. Classic Car Club of America. 46-47: 16. 1998. Retrieved 30 November 2015. ^ "Approved CCCA Classics" (PDF). Classic Car Club of America. Archived from the original (PDF) on 27 March 2009. Retrieved 18 November 2015. ^ "CCCA Approved Classics". Classic Car Club of America. Archived from the original on 19 November 2015. Retrieved 18 November 2015. ^ Lee, Jon. "About Classics:Why We Define Classics As We Do & By The Number" (PDF). Classic Car Club of America. Retrieved 30 November 2015. ^ "AACA Official Judging Manual" (PDF) (revised 2015 ed.). Antique Automobile Club of America. 2006. pp. 4–3. Retrieved 18 November 2015. ^ "Car benefit: classic car: definition". HM Revenue & Customs. Retrieved 2008-06-25. ^ Robbins, Alex (2013-09-23). "Invest in an affordable future classic car". The Daily Telegraph. London. ^ "Neusäß: Schmankerl für Autoliebhaber: Oldtimer auf der Slalomstrecke - Nachrichten Augsburg-Land, Gersthofen, Neusäß - Augsburger Allgemeine" (in German). Augsburger-allgemeine.de. 2015-05-28. Retrieved 2017-01-17. ^ Stark, Lisa (2009-09-10). "Highway Safety Exclusive: Car Crashes, Travel Deaths Prevented by Technology — ABC News". Abcnews.go.com. Retrieved 2011-09-23. ^ Neff, John. "Pics Aplenty: IIHS reveals before and after of Malibu/Bel Air crash". Autoblog.com. Retrieved 2011-09-23. ^ Niedermeyer, Paul. "Automotive History: An X-Ray Look At GM's X Frame (1957–1970)". Curbsideclassic.com. Retrieved 2012-11-07. 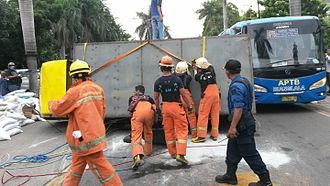 ^ a b "Deadly crash spotlights classic-car safety". USAtoday.com. 2005-08-02. Retrieved 2010-09-20. ^ Glanfield, Emma. "Short-sighted cab driver 'frustrated at rush-hour traffic rammed into back of classic car so hard it folded like a pen-knife and killed teacher driver'". Daily Mail. Retrieved 28 March 2016. ^ Wright, Jeanne (2001-12-12). "Classic Cars Pose Special Risks for Drivers". Los Angeles Times. Retrieved 2010-09-20. ^ "Classic Car Safety". collectorsector.com. 2014-02-11. Archived from the original on 2014-02-12. Retrieved 2014-02-11. ^ "Tire Technical Information". Rsracing.com. 2002-01-29. Retrieved 2012-11-07. The MG T series is a range of body-on-frame convertible sports cars that were produced by MG from 1936 to 1955. The series included the MG TA, MG TB, MG TC, MG TD, the last of these models, the TF, was replaced by the MGA. The TF name was reinstated in 2002 on the mid-engined MG TF sports car, the MG TA Midget replaced the PB in 1936. It was an evolution of the car and was 3 inches wider in its track at 45 inches and 7 inches longer in its wheelbase at 94 inches. The engine displaced just 1292 cc, with a stroke of 102 mm, the four-speed manual gearbox now had synchromesh on the two top ratios and was connected to the engine by a cork-faced clutch running in oil. Unlike the PB, hydraulic brakes were fitted with 9-inch drums, like the PB, most were two-seat open cars with a steel body on an ash frame. A bench-type seat was fitted with storage space behind, from 1938 the car could be had with a more luxurious Tickford drophead coupé body by Salmons of Newport Pagnell and 252 were made. The soft top could be used in three positions, fully open, closed or open just over the seats, wind-up windows were fitted to the higher topped doors making the car more weathertight and individual bucket seats used in the fully carpeted interior. Complete chassis were fitted with a very basic body at the Abingdon factory, a closed Airline coupé made by Carbodies, as fitted to the P type, was offered but only one or two is thought to have been made. The T-type was capable of reaching almost 80 mph in standard tune with a 0–60 mph time of 23.1 seconds,3,003 were made and in 1936 it cost £222 on the home market, the same as had been asked for the PB. When first introduced the model was known as the T Type, allan Tomlinson won the 1939 Australian Grand Prix driving an MG TA. The TA was replaced by the TB Midget in May 1939 and it had a smaller but more modern XPAG engine as fitted to the Morris Ten Series M, but in a more highly tuned state and like the TA with twin SU carburettors. This 1250 cc I4 unit featured a slightly less undersquare 66.6 mm bore and 90 mm stroke and had a power output of 54 hp at 5200 rpm. The oil-immersed clutch was replaced by a dry-plate type and gear ratios revised. Available as an open 2-seater or more luxurious Tickford drophead coupé, the TC Midget was the first postwar MG, launched in 1945. The 1949 Ford was an American automobile produced by Ford. The design would continue through the 1951 model year, after sticking with its well-received previous model through model year 1948, Ford completely redesigned its namesake car for the year 1949. The engine was moved forward to more room in the passenger compartment. Fords popular 226 CID L-head straight-6 and 239 CID Flathead V8 remained, now rated at 90 hp and 100 hp, respectively. The 1949 models debuted at a gala at the Waldorf-Astoria Hotel in New York City in June 1948, the new integrated steel structure was advertised as a lifeguard body, and even the woody wagon was steel at heart. The convertible frame had an X member for structural rigidity, the new styling approach was evident in the 1949 Mercury Eight and the all-new Lincoln Cosmopolitan. 1950 saw a new Crestliner sports sedan—a 2-door sedan with 2-tone paint intended to battle Chevrolets popular hardtop coupe of 1950, another new name was Country Squire, which referred to the 2-door wood-sided station wagon. All wagons received flat-folding middle seats at mid-year, an innovation that would reappear in the minivans of the 1990s, the 1949 and 1950 styling was similar, with a single central bullet in the frowning chrome grille. In the center there was a red space that had either a 6 or 8 depending if the car had the engine or the V8. The trim lines were renamed as well, with Standard becoming Deluxe, the new Fords got the now-famous Ford Crest which appeared on the divisions vehicles for many decades in one form or another. A Deluxe Business Coupe was marketed, the 1951 Fords featured an optional Ford-O-Matic automatic transmission for the first time. Ford finally answered the Chevrolet Bel Air and Plymouth Belvedere charge with the Victoria hardtop in 1951, the car was an instant hit, outselling the Chevrolet by nearly 10%. The Crestliner continued for one year, however. All 1951 Fords sported a new grille and heavy chrome bumpers. This year Ford added a new turn-key ignition, front suspension is independent coil springs. 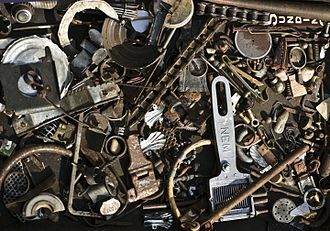 The Brass Era is an American term for the early period of automotive manufacturing, named for the prominent brass fittings used during this time for such things as lights and radiators. It is generally considered to encompass 1896 through 1915, a time when vehicles were often referred to as horseless carriages. Within the 20 years that make up this era, the experimental designs. 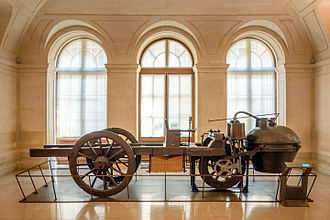 This system specified front-engined, rear-wheel drive internal combustion engined cars with a sliding gear transmission, in the early part of this period steam car development had advanced, and they were among the fastest road vehicles in that period. Electric cars held a market throughout the era. Development of automotive technology was rapid, due in part to hundreds of small manufacturers competing to gain the worlds attention, key developments included the electric ignition system, independent suspension, and four-wheel brakes. 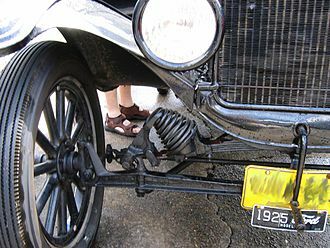 Leaf springs were used for suspension, though many other systems were still in use. Safety glass made its debut, patented by John Wood in England in 1905, angle steel took over from armored wood as the frame material of choice, and in 1912, Hupp pioneered the use of all-steel bodies, joined in 1914 by Dodge. The Dodge Charger is a brand of automobiles marketed by Dodge. The first Charger was a car in 1964. There have been several different production Chargers, built on three different platforms and sizes, in the U. S. the Charger nameplate has been used on subcompact hatchbacks, full-sized sedans, and personal luxury coupes. The current version is a four-door sedan, the three main iterations of Dodge Chargers were a mid-size two-door car, a subcompact car, and the full-size platform four-door sedans built since 2006. The name was carried by a 1999 concept car that differed substantially from the Charger eventually placed into production for the 2006 model year. A similar name plate, the Ramcharger, was used for the truck-type vehicle, the name Charger was used in Brazil as a performance model based on the Dart. It featured a fastback body design and a four bucket seat interior. 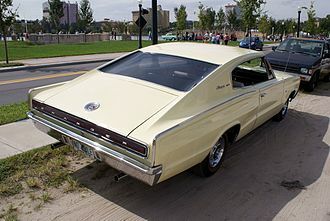 The intermediate-sized Charger shared components with the Coronet that used the Chrysler B platform, the base engine was a 318 cu in V8 with a three-speed floor shifter. Larger and more engines were available. The Charger was redesigned for 1968, and sales increased, based on the Chrysler B platform, the model years received various cosmetic changes to the exterior and interior including, an undivided grill, rounded tail lights, and hidden headlights. 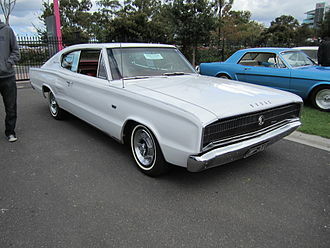 The powertrains were the same as the used in the 1967 Charger. The model was not successful in car racing such as NASCAR. A more aerodynamic shape formed the Charger 500 model that became the basis for the 1969 Dodge Charger Daytona, the third generation Charger was introduced for the 1971 model year. Chryslers B platform was modified to meet new emissions and safety regulations, available in six different packages with cosmetic changes that include, a split grill, semi fastback rear window, and a ducktail spoiler. The 1973 and 1974 Chargers were very similar to the 1971 with minor differences in the grill, the increase in sales was mostly due to the elimination of the Dodge Coronet, which meant Dodge offered the two-door intermediate-size body style only as the Charger. Muscle car is an American term used to refer to a variety of high-performance automobiles. The Merriam-Webster dictionary defines muscle cars as any of a group of American-made 2-door sports cars with engines designed for high-performance driving. A large V8 engine is fitted in a 2-door, rear drive, family-style compact. Sold at a price, muscle cars are intended for street use. They are distinct from sports cars and expensive 2+2 GTs intended for high-speed touring. According to Muscle Cars, a written by Peter Henshaw. It is a product of the American car industry adhering to the hot rodders philosophy of taking a small car, the Muscle Car is Charles Atlas kicking sand in the face of the 98 horsepower weakling. In the United States, lightweight cars featuring high-performance engines were termed supercar before the classification of muscle car became popular, for example, the 1957 Rebels potent mill turned the lightweight Rambler into a veritable supercar. From the mid-sixties to the mid-seventies, what we now think of as muscle cars were commonly called Supercars. This term described the dragstrip bred affordable mid-size cars of the 1960s and early 1970s that were equipped with large, powerful V8 engines and rear-wheel-drive. In 1966, the became an official industry trend as the four domestic automakers needed to cash in on the supercar market with eye-catching, heart-stopping cars. Moreover, the SC in the name stood for SuperCar. However, the term by that time had been diluted and branded with a meaning that did not respect the unique qualities of the muscle car. Opinions vary as to whether high-performance full-size cars, opinions on the origin of the muscle car vary, but the 1949 Oldsmobile Rocket 88, created in response to public interest in speed and power, is often cited as the first muscle car. It featured Americas first high-compression overhead valve V8 in the smaller, lighter Oldsmobile 76/Chevy body for six-cylinder engines, Nerad added that the Rocket 88 was the hit of NASCAR’s 1950 season, winning eight of the 10 races. Given its lightning-like success, one could make the case that the Olds 88 with its 135 horsepower V-8 was the first musclecar. The Cord 810, and Cord 812, was an automobile produced by the Cord Automobile division of the Auburn Automobile Company in 1936 and 1937. It was the first American-designed and built front wheel drive car with independent front suspension and it followed the 1934 Citroën Traction Avant and the Cord L-29, both of which had front wheel drive. Both models were the first to offer hidden headlights, the styling of the Cord 810 was the work of designer Gordon M. Buehrig and his team of stylists, which included young Vince Gardner and Alex Tremulis. While the first American front-wheel-drive car with independent front suspension, it had an archaic tube rear axle with semi-elliptic rear springs, power came from a 4,739 cc Lycoming V8 of the same 125 hp as the L-29. The semi-automatic four-speed transmission extended in front of the engine, like on a Traction Avant and this allowed Buehrig to dispense with the driveshaft and transmission tunnel, as a result, the new car was so low it required no running boards. It had a 125 in wheelbase, reportedly conceived as a Duesenberg and nearly devoid of chrome, the 810 had hidden door hinges and rear-hinged hood, rather than the side-opening type more usual at the time, both new items. It featured pontoon fenders with hidden headlamps that disappeared into the fenders via dashboard hand cranks and this car was first and one of the few ever to include this feature. It featured a fuel filler door and variable-speed windshield wipers. Its engine-turned dashboard included complete instrumentation, a tachometer, and standard radio, the most famous feature was the coffin nose, a louvered wraparound grille, from which its nickname derived, a product of Buehrigs desire not to have a conventional grille. The car caused a sensation at its debut at the New York Auto Show in November 1935, the crowds were so dense, attendees stood on the bumpers of nearby cars to get a look. Cord had rushed to build the 100 cars needed to qualify for the show, the first production cars were not ready to deliver until February, and did not reach New York City until April 1936. In all, Cord managed to sell only 1,174 of the new 810 in its first model year, supercharging was made available on the 1937812 model, with a mechanically driven Schwitzer-Cummins unit. Supercharged 812 models were distinguished from the normally aspirated 812s by the brilliant chrome-plated external exhaust pipes mounted on each side of the hood, with supercharging, horsepower was raised to 170. Early reliability problems, including slipping out of gear and vapor lock, although most new owners loved their sleek fast cars, the dealer base shrank rapidly. Unsold left-over and in-process 1936810 models were re-numbered and sold as 1937812 models, in 1937, after producing about 3000 of these cars, Auburn ceased production of the Cord. A single 1938 Cord prototype, with changes to the grille and transmission cover, was built. The 810/812 design was re-marketed almost immediately, in 1940, as ailing automakers Hupmobile and Graham-Paige tried to save money, except for their similarity to the 810, their 4-door sedans, the Hupp Skylark and the Graham Hollywood, were unremarkable. LeBaron Incorporated was a design and coach building company from 1920 until 1953. American designers Raymond H. Dietrich and Thomas L. Hibbard had met while working for Brewster, LeBaron was founded in Bridgeport, Connecticut in 1920 by Raymond H. Dietrich and Thomas L. Hibbard. 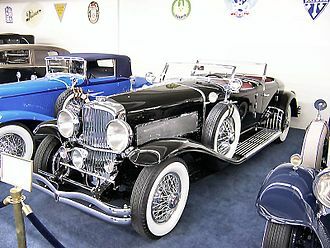 The company originally was called LeBaron, Carrossiers Inc. and served as design consultants, business progressed in 1920 that Thomas Hibbard offered his friend, Ralph Roberts, who had just gotten his Bachelor of Science degree from Dartmouth College, a job. Tom Hibbard met fellow designer, Howard A, Hibbard and Darrin decided to go to Paris, initially to try to sell LeBaron designs but instead decided to set up their own company and founded Hibbard & Darrin. Hibbard resigned from LeBaron in 1923, in 1924, LeBaron merged with the Blue Ribbon and Bridgeport Body companies and changed their name to LeBaron Inc. becoming body builders as well as designers. LeBaron became one of the many prominent coachbuilders in the 1920s to provide bodies for luxury cars, Dietrich received a lucrative offer from Murray Corporation, one of Fords and Lincolns main body builders, in 1925 and resigned from LeBaron to start Dietrich, Inc. The small domestic automaker marketed the Gremlin as the first American-built import. The Gremlin reached a production of 671,475 over a single generation — and was superseded by a restyled variant. The idea for the Gremlin began in 1966 when design chief at American Motors, Richard A. Teague, on an airline flight, Teagues solution, which he said he sketched on an air sickness bag, was to truncate the tail of a Javelin. Bob Nixon joined AMC as a 23-year-old and did the first formal design sketches in 1967 for the car that was to be the Gremlin. 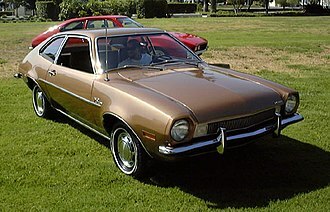 Ford and General Motors were to launch new subcompact cars for 1971, Teagues idea of using the pony car Javelin resulted in the AMX-GT concept, first shown at the New York International Auto Show in April 1968. This version did not go into production, but the AMX name was used from 1968 to 1970 on a shortened, Bob Nixon, AMCs future Chief of Design, designed the new subcompact based on the automakers Hornet model, a compact car. Capitalizing on AMCs advantage as a car producer, the Gremlin was introduced on April 1,1970. The April 6,1970 cover of Newsweek magazine featured a red Gremlin for its article, Detroit Fights Back, from the front of the car to the B-pillars, the Gremlin was essentially the same as the AMC Hornet. As with the Volkswagen, the Gremlins styling set it apart from other cars, time said, like some other cars of less than standard size, the back seat is designed for small children only. 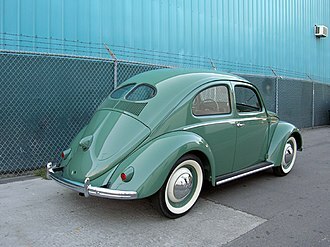 The six cubic feet of space behind the back seat was less than in the rear-engined Volkswagen Beetle. The upright design of the tail, which enlarged interior space, was aerodynamically efficient, later and Japanese manufacturers similarly created different body styles on one compact car chassis by extending or curtailing the trunk. Designed and named by Teague to look either cute or controversial - depending on ones viewpoint, for many, it seemed perfect for the free-thinking early 1970s. American Motors executives apparently felt confident enough to not worry that the Gremlin name might have negative connotations, time magazine noted two definitions for gremlin, Defined by Websters as a small gnome held to be responsible for malfunction of equipment. Duesenberg Motors Company was an American manufacturer of race cars and luxury automobiles. It was founded by brothers August and Frederick Duesenberg in 1913 in Saint Paul, the brothers moved their operations to Elizabeth, New Jersey in 1916 to manufacture engines for World War I. Cord added Duesenberg to his Auburn Automobile Company, with the market for expensive luxury cars severely undercut by the Depression, Duesenberg folded in 1937. In 1913, brothers Fred and Augie Duesenberg founded Duesenberg Motors Company, Inc. on University Avenue in St. Paul, Minnesota, to build engines, the brothers were self-taught engineers and built many experimental cars. Duesenberg cars were considered some of the best cars of the time, in 1914, Eddie Rickenbacker drove a Duesy to finish in 10th place at the Indianapolis 500, and Duesenberg won the race in 1924,1925, and 1927. The fledgling company sidestepped into aviation engine manufacturing when Colonel R. C. Bolling, the end of World War I stopped this project before it could ever mature. In 1921, Duesenberg provided the car for the Indy 500. 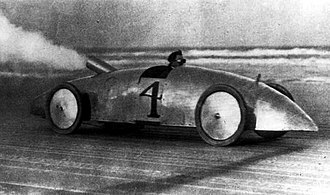 In 1923, Jimmy Murphy became the first American to win the French Grand Prix when he drove a Duesenberg to victory at Le Mans. At the end of World War I, they ceased building aviation and marine engines in Elizabeth, New Jersey at the corner of Newark Avenue, was established in 1920 to begin production of passenger cars. 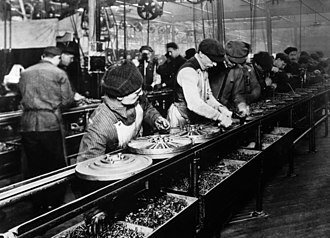 The plant was located on a 17-acre site on West Washington street at Harding street until 1937, although the Duesenberg brothers were world-class engineers, they were neither good businessmen nor administrators, they were unable to sell all the units of their first passenger car, the Model A. This had the Duesenberg Straight-8 engine, the first mass-produced straight eight engine in the U. 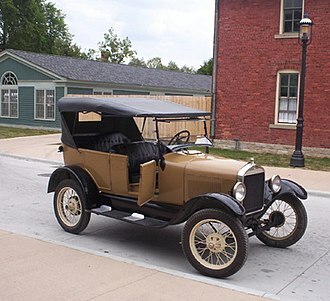 S, the Model A was a lighter and smaller vehicle than the competition. It was among the most powerful and the fastest cars of its time, among the celebrities who purchased this model were Tom Mix and Rudolph Valentino. 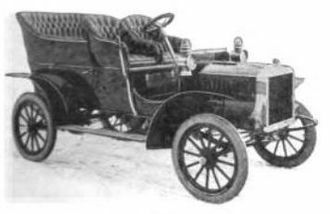 The model experienced various delays going from prototype to production, deliveries to dealers did not start until December 1921. 1919 Pierce-Arrow advertisement; ads for the cars in early years were understated and artistic, and did not discuss details about the cars. 1953 Kaiser Darrin sports car in 3D Anachrome. Body design by Dutch Darrin and Bill Tritt. 1953 Kaiser Darrin in Anachrome 3D. Note that the doors slide into the front fender. 1949 Kaiser Deluxe Four-Door Convertible on display at the LeMay Family Collection at the Marymount Event Center in Tacoma, WA. A crash test illustrates how a crumple zone absorbs energy from an impact. Range shown in blue of East Japan Railways (JR East) E217 series train. The driver's cabin is a crushable / crumple zone). The crumple zone on the front of these cars absorbed the impact of an offset head-on collision.